Kalawad Road, Rajkot - 360 001. Completed Secondary Education (C.B.S.E.) from Rajkumar College, Rajkot and Higher Secondary Education (I.S.C.E.) from Rishi Valley School (J. Krishnamurti Foundation). B. Com. (Bombay University) First Class. I.C.W.A.I. (Cost Accounts) Inter First Class. P.G.D.B.M. (Post Graduate Diploma In Business Management) (University Topper). B.E.C. (Business English Certificate Level - 3) (University of Cambridge). AMFI (Association of Mutual Fund of India) Mutual Fund Advisor. Certified Insurance Advisor from IRDA for Life and Non-life Insurance. Cleared NSE (F&O) module with distinction. Manufacturing Tin Containers without The aid of Power conserving Electric Power. Engaged in Educational activities by setting up fully air-conditioned Secondary and Higher Secondary school under the name "Shantvan School" and also Coaching Classes under the name "Vikalpa Tutorials" for educational purpose and also the only institute approved by IRDA in the saurashtra region for Insurance training for Life and Non-life insurance. Engaged in Financial Consultancy & Mutual Fund Advisor registered under AMFI. Won the Pru-Chairman Gold Award for the year 2003-2004-2005-2006 for the highest mobilization of business in the field of Mutual Funds. Awarded with CHAMPION award for year 2007-2008. Engaged in the Consultancy of Life and Non-life Insurance with a specialization in the Key-Man insurance, Unit Link products and Risk Engineering. Qualified member for MDRT (Million Dollar Round Table) Conference U.S.A. for three consecutive years. Qualified as a GOLD MEMBER for AMP SANMAR Life Insurance Co. Ltd. And Reliance Life Insurance Co. Ltd.
Pru-Chairman GOLD AWARD winner for three consecutive years (2003-2004-2005). Won CHAMPION Award for year 2007-2008. Travelled to Athens-GREECE for special training on motivation & inspiration on behalf of ICICI Prudential Life Insurance Co. Ltd. conducted by Rahul Dravid. Visited AUSTRALIA for Special Training on Mutual Funds on behalf of Pru-ICICI. Visited DUBAI for Training on Mutual Fund by Uma Sashikant on Mutual Fund Sales. Visited THAILAND on behalf of Prudential ICICI. Visited NEW ZEALAND to participate in Annual Conference of AMP Insurance on behalf of AMP SANMAR Life Insurance Co. Ltd. Attended Special training on following – Debt Market – Uma Shashikant, Sales Performance – Dr. Pramod Batra. Won UPPER CRUST AWARD from HDFC Mutual Fund. Attended Special sales conference in South Africa on behalf of Relaince Life Insurance Co. Ltd. Nominated by CNBC – TV18 for Financial Advisory Awards – 2006. Attended Special sales conference in South Africa on behalf of Franklin Templeton Mutual Fund. Attended Special sales conference in Russia on behalf of Reliance Life Insurance Co. Ltd.
Consumer Protection & Education Cell (CPEC) – Gujarat State. He is budding businessman who has feel for computers and have taken a keen interest to computerize the operation of the entire "Ashok Group". He developed unique HRD training programs and has a profound knowledge in the field of costing, computers & management. He plays a key role in developing new markets for exports and also opened up fields and avenues of merchant exports. Apart from being trained in business under his father and two uncles he also has a flair for pen. 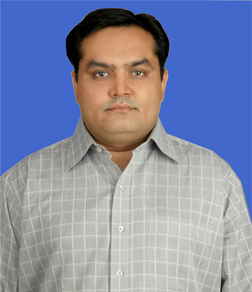 His business and social concerning articles are regularly published in The Times of India and The Indian Express. He is also responsible for identifying new products which can be put under "Ashok Umbrella" and make maximum use of brand extension. He has taken formal training from reputed schools & colleges like The Rajkumar College, The Rishi Valley School (J.Krishnamurti Foundation), The Podar College, The Saurashtra University and The University of Cambridge.